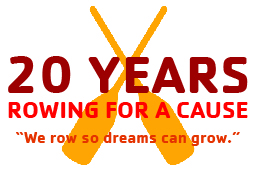 Celebrating 20 Years Rowing for a CAUSE! 2018 YMCA Dragon Boat Team Challenge will be September 27 – 30. Limited space still available on Sunday afternoon for Adult Teams. High School Teams are invited to register in the Sunday morning High School Bracket! Click here for Team Registration Form. $20 Challenge! Celebrating 20 Years Rowing for a CAUSE. This is optional but a great opportunity for team members, co-workers, family, friends and community to support Rowing for a CAUSE!The Cause is Eliminating Drowning. Drowning is the 2nd leading cause of death of children under the age of 14 in Texas. The Y is committed to make families safer around the water by providing swim lesson instruction and parent education in an effort to eliminate drowning and save lives. The sport of dragon boating may have ancient Chinese roots, but there’s no mistaking that the The Woodlands Family YMCA’s Dragon Boat Race has become a tradition in The Woodlands, too. For the twentieth year, teams will race colorful, dragon-headed boats across Lake Woodlands, participate in games and enjoy friendly competition in support of the community-strengthening programs provided by The Woodlands Family YMCA. Proceeds benefit The Woodlands Family YMCA Annual Campaign, which ensures that everyone, regardless of age, income or background has the opportunity to learn, grow and thrive at the Y. To learn more about local Y programs like swim lessons, after school care and youth sports, visit ymcahouston.org.